I have been building up my browns and neutrals, and Espresso has quickly become a favorite! Revlon definitely nailed it with this one! 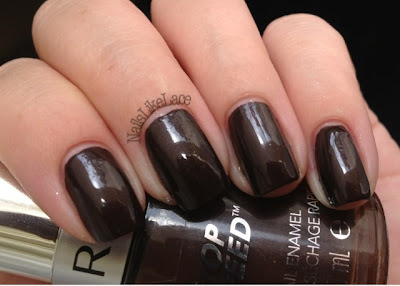 It is such a wonderful, yummy chocolaty color with a slight hint of shimmer in it.